Cape May County Federation of Sportsmen's clubs – The greatest WordPress.com site in all the land! The NJ DEP Division of Fish and Wildlife’s 2014 spring trout stocking program has been modified due to the outbreak of a fish disease (furunculosis) at the Pequest Trout Hatchery. The Division has implemented a plan to control the disease at the hatchery, but it is necessary to modify the trout stocking program this spring in order to conserve and protect our wild trout resources and other year round trout fisheries. In order to protect priority trout resources, no trout will be stocked in Trophy Trout Lakes, Holdover Trout Lakes and certain trout production streams, or waters directly connected to them. These year round fisheries will still provide anglers excellent trout fishing opportunities this spring. Trout waters still scheduled to be stocked will be allocated the hatchery’s supply of negative trout (never documented to have the bacterium). As there is a limited number of negative trout the traditional seven-week in-season stocking season has been shortened to four in-season weeks. Other waters traditionally stocked with trout that do not support trout year round (non- trout waters primarily lakes and ponds in the eastern, central, and southern areas of the state) have been allocated more trout than usual this spring as trout treated for furunculosis cannot be utilized in waters with existing trout populations. These waters will receive an additional allocation of trout prior to opening day and an additional stocking the week following opening day. In addition, several other waters not typically stocked with trout will be stocked with trout this spring which provide additional trout fishing opportunities. The Division reminds anglers that there are no human health risks associated with the bacterium, Aeromonas salmonicida, that causes this disease and recommends anglers consult Division’s website for any additional changes to the 2014 trout stocking program. Scheduled Changes Include: In order to protect existing trout population present the following waters will not be stocked in Spring 2014. Anglers are reminded these waters support year round trout fisheries and still provide anglers trout fishing opportunities. Furunculosis is a disease caused by the bacterium Aeromonas salmonicida, which primarily affects coldwater species of fish such as trout. It is a serious infectious disease found in trout and salmon throughout the world. The disease is most commonly found in hatcheries where hatchery-related stress factors provide a favorable environment for furunculosis to grow. The bacterium has also been discovered in wild fish, particularly in the Northeastern and Northwestern parts of the United States. Brown, brook, and lake trout as well as Atlantic salmonareparticularlysusceptible,thoughalltroutspeciescanbeaffected. TheNewJerseyDivisionofFish and Wildlife screens for furunculosis during annual health inspections of its hatcheries. Signs of furunculosis vary depending upon the disease’s rate of progression. There are two distinct forms, acute and chronic. The acute form of the disease is most common in growing fish and mature adults. The onset is sudden (2-3 days) that results in high mortality. External signs of disease are often absent and may be limited to a darkening of color on the fish. Chronic furunculosis is most common in older fish and results in lower mortality. In this form, affected fish are slow-moving and often exhibit boils protruding through the skin. What occurred at the Pequest Trout Hatchery? During the fall of 2013, an outbreak of chronic furunculosis occurred in brook and brown trout affecting two- year-old specimens and older. This is the first time furunculosis has been documented at the Pequest Trout Hatcherysincethehatcherybeganfishproductionin1982. Tocontrolthefalloutbreak,freshwaterfisheries biologists humanely euthanized approximately 21,000 of the affected brook and brown trout. Despite these efforts however, the bacterium had also spread to the trout in some of the other outdoor raceways. These fish were treated with an oral antibiotic that effectively fought the disease, but in early December, symptoms reappeared with mortality occurring in a small number of these fish. As a result, a second course of antibiotic treatment was applied and no symptoms have been observed in any of the fish since that time. How did the disease reach the outdoor raceways at Pequest? The disease was likely transferred to the raceways by ospreys or great blue herons. Freshwater fisheries biologists feel that these predatory birds, feeding on infected fish in the wild may have spread the bacteria when they attempted to feed on the hatchery-raised trout. Discouraging predatory birds from feeding in the raceways has always been a concern at the hatchery and for that reason, an elaborate deterrent system, including air cannons, electrified fencing and cables strung over the pools has been utilized, but the success of these methods is never guaranteed. Furunculosis can be treated with antibiotics to eliminate disease outbreaks within the hatchery. Once treated, the trout are held for a 15-day period allowing the antibiotics to be fully absorbed and eliminated before the fish are stocked. Trout that have been treated for the disease may become carriers of the bacterium . Under stressed conditions it is possible for furunculosis to reemerge in these fish. It is important to note that carriers pose a significantly less risk to transferring the bacterium to other fish than those actively exhibiting symptoms. Has New Jersey stocked trout affected by furunculosis in the past? Historic records of trout culture operations at the Hackettstown Hatchery indicate outbreaks of furunculosis. Whenthoseoutbreaksoccurred,fishweretreatedwithantibioticsandreleased. Asaresultofthesehistorical stockings there were never any reports of furunculosis in wild trout in New Jersey. Does furunculosis pose any public health risks? The bacterium does not pose any health risks to humans. It is not advisable however, to eat any species of fish or wildlife that appears to be diseased. Signs of furunculosis include darkening of the skin of affected fish as well as large boils and lesions. If you encounter any fish with these characteristics, please contact the Division of Fish and Wildlife’s Fish Pathologist Dr. Jan Lovy at (980) 637-4173 ext. 120. Will stocking trout exposed to, or that have been treated for furunculosis pose a risk to other species of fish already inhabiting these waters? Fish that have been exposed to the bacterium or fish that have been treated for the disease may still carry the bacterium at extremely low levels; levels that cannot be detected in laboratory tests. The only fish that will be stocked into select waters are ones that have undergone testing and prove negative for the bacterium and the disease. Based on the experiences of other states that stock treated fish and the historic Hackettstown stockings, the Division of Fish and Wildlife believes there is little risk that there will be an reoccurrence of this disease after the fish are released into the wild.. Furunculosis is widely believed to be a hatchery-related disease and not commonly seen in the wild. Although there is always a risk that asymptomatic carrier fish can shed small amounts of bacteria, efficient spread of the bacterium would likely require fish with active infections. Because A. salmonicida is a cold-water pathogen that will not survive in temperatures above 74°F, it cannot survive the warm summer temperatures in most stocking areas. Traditionally, furunculosis was thought to be exclusive to trout and salmon, but in the last decade it has been found in fish species other than trout. Many fish species, including minnows, goldfish, carp, perch, chub, pike, bullheads, catfish and several others have been discovered with non-typical strains of Aeromonas salmonicida. In many cases the bacterium does not cause disease, although ulcerations and skin infections are possible. The Pequest Trout Hatchery was exposed to the typical strain of the bacterium. What is the Division doing to prevent future furunculosis outbreaks at the Pequest Hatchery? Strict biosecurity measures are employed to avoid the introduction of disease by not allowing fish from any outside source into the hatchery and by dedicating equipment for hatchery-use only. Currently, thorough disinfection measures are being taken to eradicate the bacterium from the facility. In addition, the hatchery will increase the production of rainbow trout for the next several years as this species is resistant to the disease. The small number of brook and brown trout remaining at the facility will be immediately vaccinated to increase protection from the disease. In the future, these will be replaced with more furunculosis-resistant strains of brook and brown trout. The NJDEP Division of Fish and Wildlife is inviting the public to join wildlife enthusiasts and sportsmen in sharing knowledge, insights, and recommendations for strengthening New Jersey’s wildlife diversity and habitats at the NJ Wildlife and Conservation Conference. Hosted by Conserve Wildlife Foundation of NJ, the NJ State Federation of Sportsmen’s Clubs and the Division, the NJWCC will present panels and seminars about New Jersey’s wildlife and how sportsmen, wildlife enthusiasts, biologists and others can come together around our shared commitment and passion for protecting New Jersey’s wildlife. Together, we can set the stage for innovative, productive partnerships in the years to come. Conference panels will bring together experts with a diverse array of backgrounds, expertise, and opinions – all sharing a commitment and passion for protecting New Jersey’s wildlife. The New Jersey Marine Fisheries council (NJMFC) will hold their March meeting at the Atlantic County library, 306 East Jimmie Leeds Rd., Galloway, NJ, 4:00 pm. This is historically the most attended meeting of the year,due to the NJ Summer flounder regulations being on the agenda. There will be a list of seasons/bag limit options, that are considered conservation equivalents , that have been handed down from the Atlantic States Marine Fisheries Council. In the past the NJMFC has relied heavily on public comment when voting on the options,many times it will come down to a showing of hands from the people in attendance. Last year most fishermen were satisfied with the season option chosen. However this year may be different, due to a reduction in the NJ flounder allocation. The argument usually comes down to the start and end date. 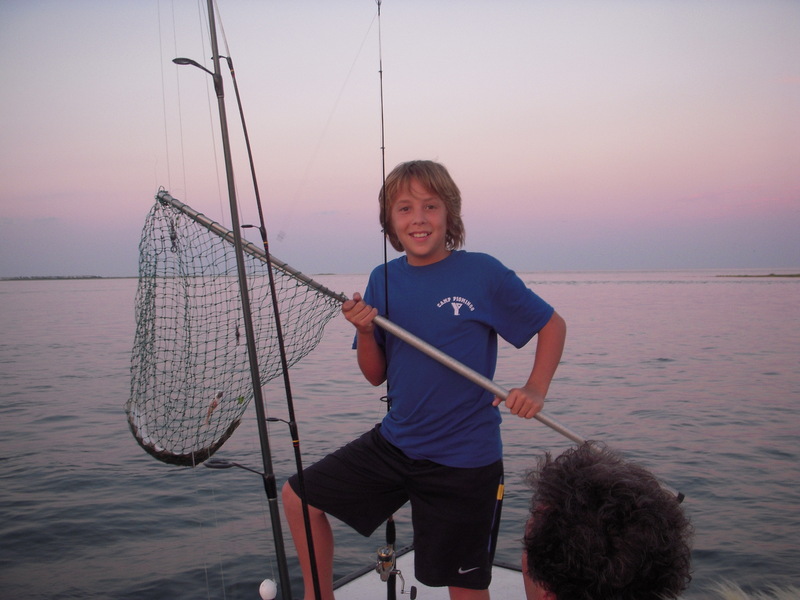 North verses South – North Jersey fishermen like a later start date and South Jersey prefers the earliest start date, with summer flounder. Weather has such an effect on the flounder fishing early (May) and later in the season (September) that it is a gamble either way. 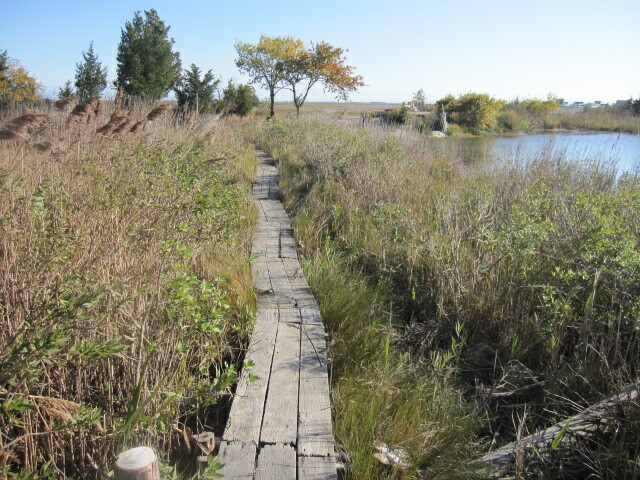 Upcoming post will include information about hunting and fishing in Cape May County, New Jersey. Stay tuned, as the content of this site will be increased daily.